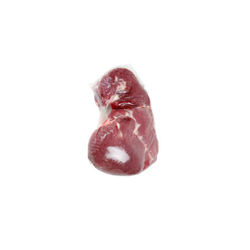 The Tail Frozen Meat offered by us is available to clients at affordable market prices. Our company has gained name and fame in presenting Frozen Pork Belly. Our company holds vast experience in this domain and is involved in offering Frozen Goat Meat. We supply Top Side Buffalo Meat, which is known for high protein and nutrients. The buffalo meat offered by us is hygienically processed and does not have added preservatives. This range of frozen halal buffalo meat is lower in cholesterol. We are exporters of halal buffalo meat. We provide quality product of buffalo meat. We will provide professional and efficient service, any questions about product service, please contact us directly, we will reply you within 24 hours. Lamb meat has a high nutritional value and is an especially good source of easily absorbed zinc and iron. It is also low in fat and an excellent source of vitamins and minerals.